The drug authorities will decide the level of a sanction against Kolon Life Science depending on the results of cell analysis of Invossa-K Inj., reportedly to be released on April 15. The company recently suspended the sale of the degenerative arthritis treatment after discovering that it has mislabeled one of the drug’s cell ingredients. In light of the Invossa mishap, the regulator is likely to mandate biotech firms to conduct short tandem repeat (STR) testing to accurately identify cells when reviewing approval for gene and cell therapies. 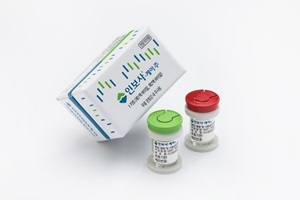 The Ministry of Food and Drug Safety is waiting for the results of STR testing on Invossa injections manufactured in the U.S. for clinical trials and those produced in Korea for sale. The ministry’s investigation will differ depending on whether the cells of the two groups are identical or not. BioReliance manufactures Invossa for clinical trials in the U.S., and that for sale in Korea, by WuXi Apptec. If the two products have different cells, it is likely that the cells produced in the U.S. are contaminated. If the two are identical, Invossa must have had cells derived from the kidney since the early stage of the product development. In this case, punishment on Kolon Life Science can differ depending on whether the company had known the mislabeling from the first place and why the name of the cell was changed. Separately, the food and drug safety ministry is investigating the company’s allegation that Invossa was contaminated during the process of separation and purification. “At the time of review for approval, we assessed Invossa-K on the assumption that the cell was derived from cartilage, not from the kidney. As the cell is known to have derived from the kidney now, we will need additional data. Real data (on over 3,000 people) may or may not be complementary,” an official at the food and drug safety ministry said. However, the ministry said Invossa would have no safety concern. Even if it was manufactured from kidney-derived cells, the drug underwent toxicity and pharmacological tests and nearly secured the safety and efficacy. In a clinical trial, 146 patients were treated with Invossa, and over 3,000 patients received Invossa injection after the market release. None of them showed a severe adverse drug reaction, except for injection pain and swelling. Based on the result of the investigation, the ministry would need a legal review and make the final decision on administrative punishment, another official at the food and drug safety ministry said. The ministry is mulling to request gene therapy developers to conduct STR testing mandatorily to prevent a similar event. STR testing analyzes all of a cell’s genotypes. It is commonly used for paternity testing because it can confirm, from which part a cell was derived. STR testing would have prevented the mislabeling of Invossa’s ingredient, but no country mandates STR testing for biotech firms. In response to criticism that the food and drug safety ministry had a loophole in drug approval procedures, the ministry said the review process was lawful at the time. Kolon TissueGene developed Invossa and licensed-out the gene therapy to Kolon Life Science. The drug drew attention as the nation’s first gene therapy to treat degenerative arthritis, which has no cure.